Other Continuous Delivery reviews by real, verified users. Find unbiased ratings on user satisfaction, features, and price based on the most reviews available anywhere. GNU is an operating system that is free software-that is, it respects users' freedom. The development of GNU made it possible to use a computer without software that would trample your freedom. Use Scala to define your tasks. Then run them in parallel from the shell. SCons is an Open Source software construction tool-that is, a next-generation build tool. Boost.Build takes care about compiling your sources with right options, creating static and shared libraries, making executables, and other chores - whether you're using gcc, msvc, or a dozen more supported C++ compilers - on Windows, OSX, Linux and commercial UNIX systems. DevOptics provides immediate transparency into the end-to-end software delivery process to eliminate automation constraints, remove blockages and bottlenecks, and improve DevOps performance. FlowTracer is versatile and powerful infrastructure software (with built-in job scheduling) for design flow development, management, and parallel execution. Any engineer, programmer, or IT professional who is used to implementing and managing flows with scripts or GNU Make will find FlowTracer a superior solution. Through its visualization and troubleshooting capabilities, complex design flows can be easily understood, maintained, and expanded. Increase productivity Invantive Scheduler allows you to accelerate your business processes without increasing costs. Invantive Scheduler makes more of your available resources by automating processes as recurring background jobs. Real-time, event-driven, whenever your business needs it. Improve control of your business processes Does a 24x7 economy require 24x7 presence? No, not with Invantive Scheduler. With the lights-out operation of Invantive Scheduler you can go to sleep assured that Invantive Scheduler is running your business operations. And besides making more of your human and machine resources available, you can also more easily act upon unforeseen events. For instance, smart signalling informs you when business operation indicators are outside of allowed bands. That can be as simple as receiving an email with an alert or more complex as an automated workflow being triggered to correct a business issue by a human operator or even an automated correction job. Anytime, anyplace, anywhere The Invantive Scheduler can run many types of jobs on your operating system, your virtual machines or database. Most current operating systems and hardware platforms are supported. Also, Invantive Scheduler provides your business software with values for parameter based upon your business processes such as orders coming in from a web store. And the integrated document management system allows you to generate, process, store and distribute short-lived and permanent documents such as invoices, emails and audit files. Data flows continuously The integrated ETL-facility allows you to graphically design and execute simple and complex data transfers. By specifying source and target data locations and transformations you can build more complex flows that allow your business processes to execute without unnecessary delays. The scalable architecture even allows for huge volumes of data to be processed every day again. Micro Focus Enterprise Server provides an application deployment environment for rehosting IBM mainframe applications that have traditionally run on IBM z/OS environments. Micro Focus Enterprise Server for .NET enables a fit-for-purpose IBM mainframe application workload to be deployed to the Windows .NET framework. 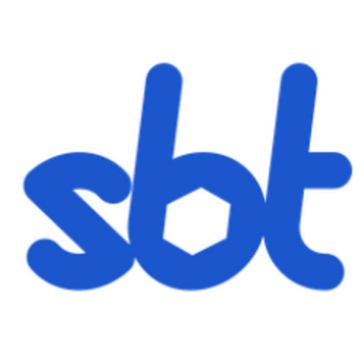 SBuild is a fast and reliable build system most suitable for projects targeting the JVM. SBuild itself and the buildfiles are written in Scala. But typical build system maintenance tasks require almost no special Scala knowledge. In the future, look to Tiny Management to provide devices to small business to solve everyday IT problems. However, developing bare metal software for multiple platforms became cumbersome for such a small organization. 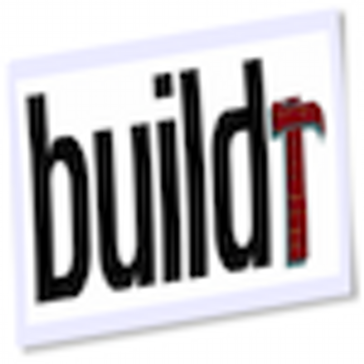 Finding existing tools inadequate, we decided to build our own and called it TinyBuilder. Hi there! Can I help you find the best Other Continuous Delivery solutions?